You know how much I love sushi! I am not exactly crafty and I’ve never used a sewing machine before but I was determined to dress Isla as a piece of salmon sashimi (our favorite) for her first Halloween. I considered dressing her in some fluffy animal costume but I really wanted to make her very first costume by hand, even if it’s not the fanciest thing in the world. My mom, the creator of the best Halloween costumes on the planet, gave me some ideas for how to make the salmon pillow and it was so easy I wanted to share it with you. So here goes … Oh but first, please forgive the pictures. I did this at 10 p.m. after Isla was sound asleep so the light was pretty crappy. I don’t have pictures the making of the seaweed because all you need to do is cut a long piece of your black material, then tie the pillow on the baby and cut the excess. 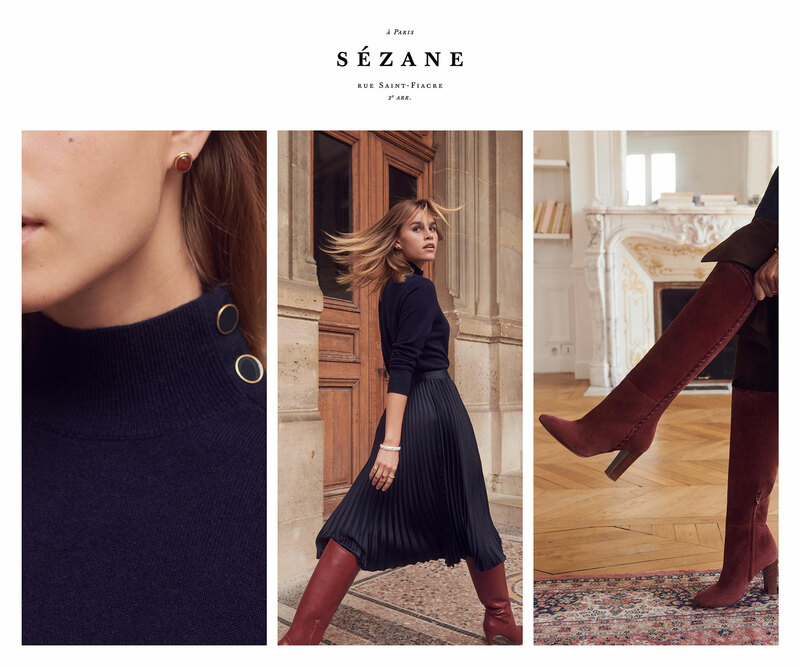 I realize I’m 30, not 13 and that this blog could be considered a modern-day diary, or journal, if you will. But I wanted something old school for our honeymoon. I decided to keep a journal during our travels as a more personal way to remember and cherish our trip. There’s something so much sweeter about a handwritten note than a typed one, don’t you think? 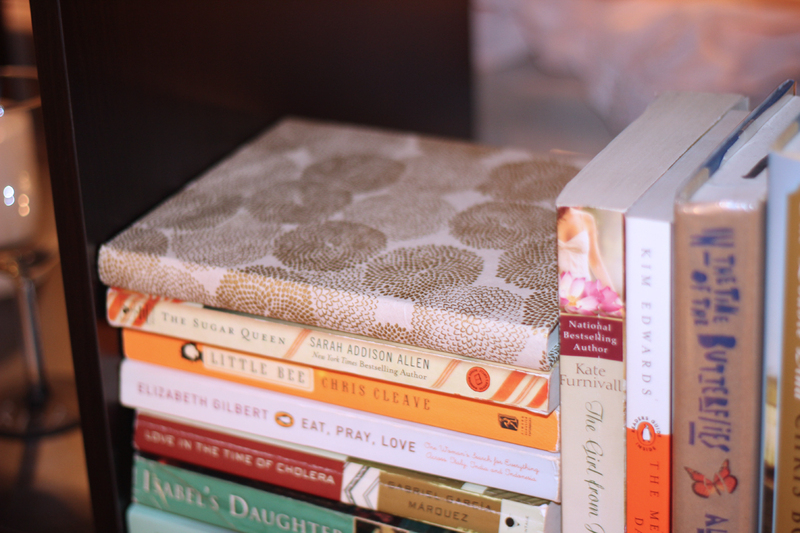 I searched high and low for the perfect book — something light, small, simple, pretty and with lined paper, because I have terribly crooked handwriting. 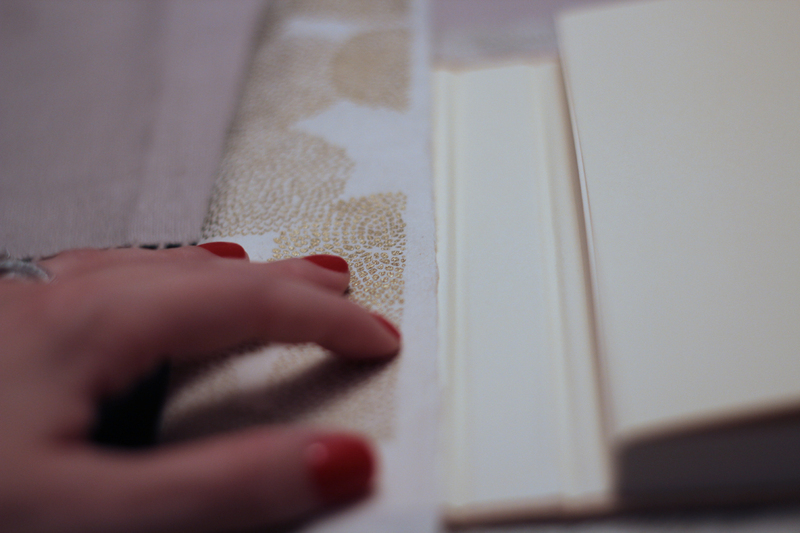 When I couldn’t find exactly what I was looking for, I snagged a natural-looking book with a magnetic closure (to protect the pages while in my carryall) and decided to cover it with pretty paper. 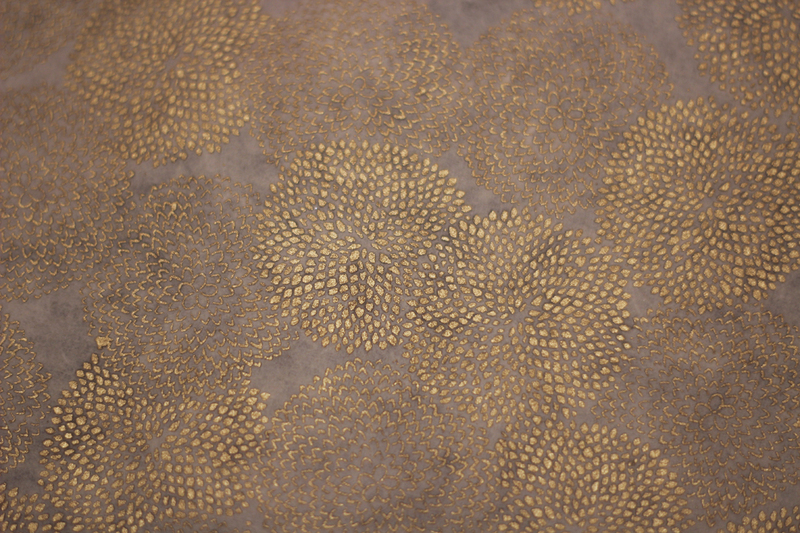 a close-up of the gorgeous paper i bought from Paper Source. and here and here are the tutorials i used. there’s a lot of folding involved. the key is to pull the paper as tight as possible without ripping it. 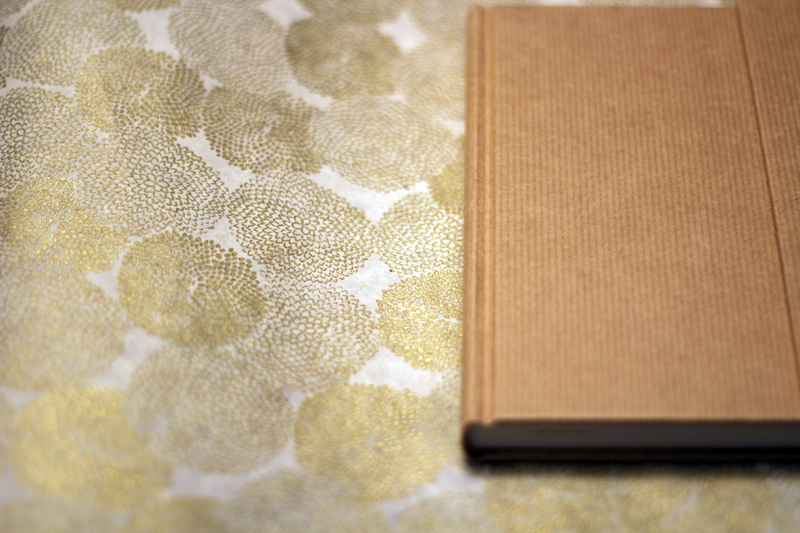 tip: i used a little too much glue on the cover and now it’s kind of discolored and lumpy. it’s not too noticeable, but avoid glue clumps. and there you go. it’s the perfect size for travel and now it’s pretty, too. 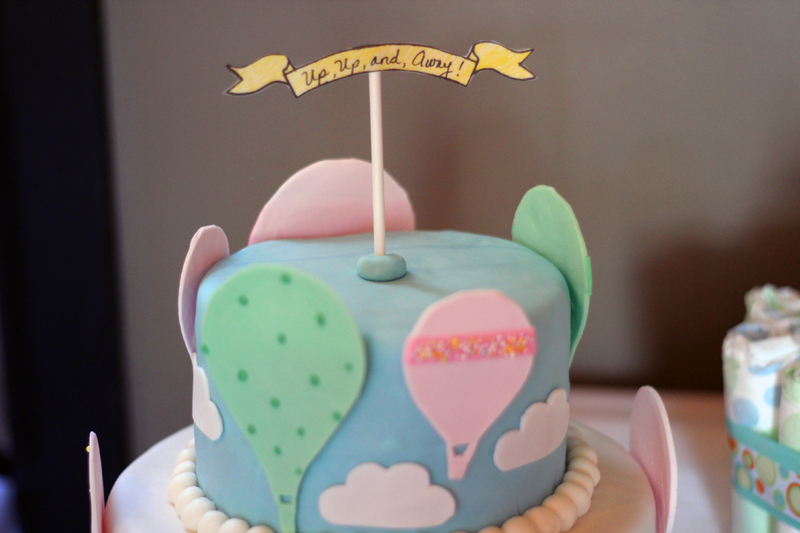 Up, up, and away, baby boy is on his way! In honor of my soon-to-be-mommy friend Sarah, a group of us got together to throw her a “classy carnival”-themed baby shower. 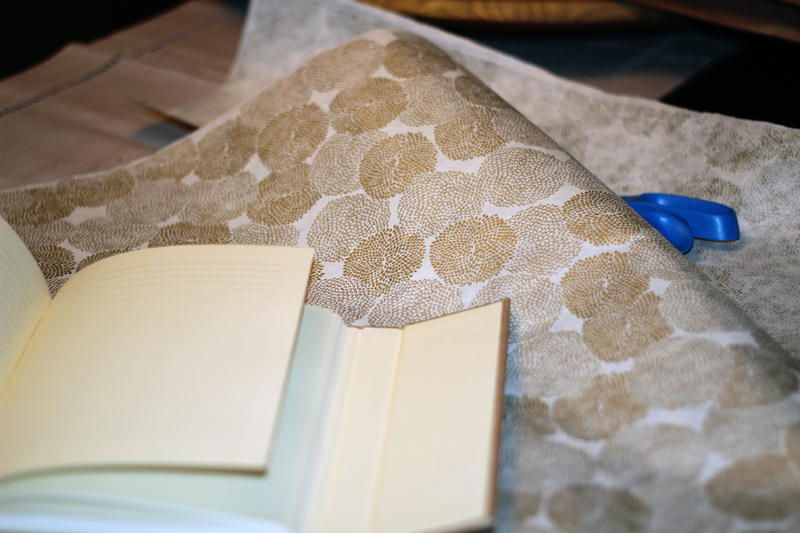 It all began with an adorable invitation I found on Etsy (here), and from there the ideas started flowing. 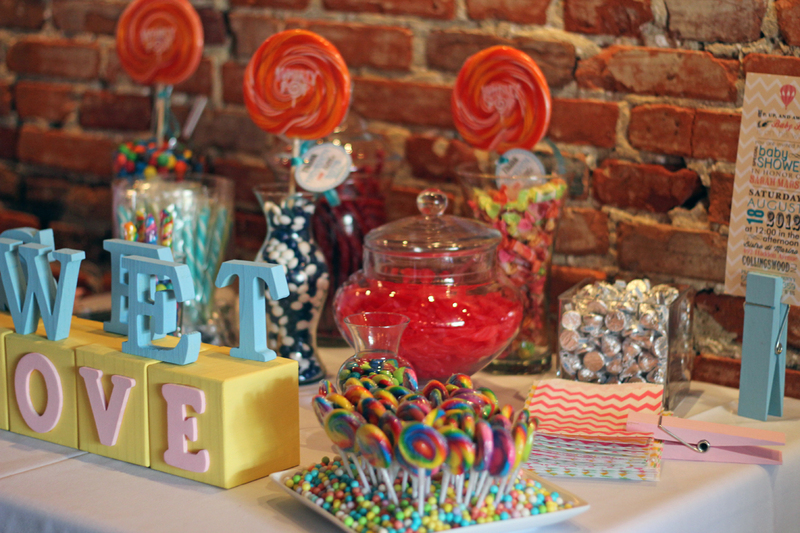 From chevron goodie bags and hot air balloon centerpieces, to flags and a candy bar, we loved putting together every last detail. 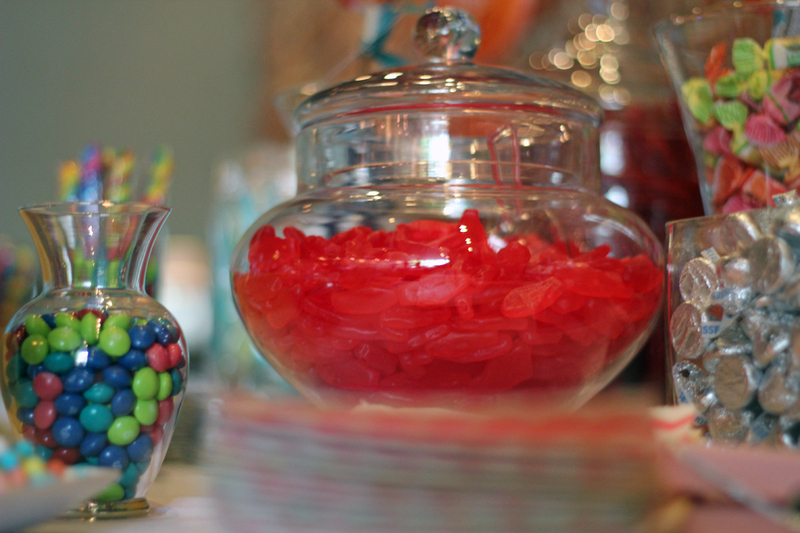 My friend Meg and I were in charge of favors and since Sarah (you know her as my matron of honor) is obsessed with sugar, we went straight for her sweet tooth. curious about how these little guys stood up so straight? 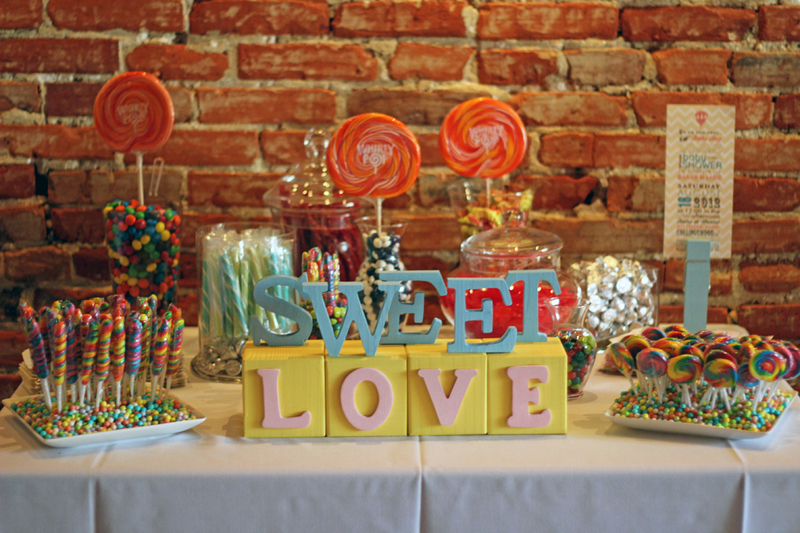 be sure to read below for a complete “sweet love” candy bar how-to. 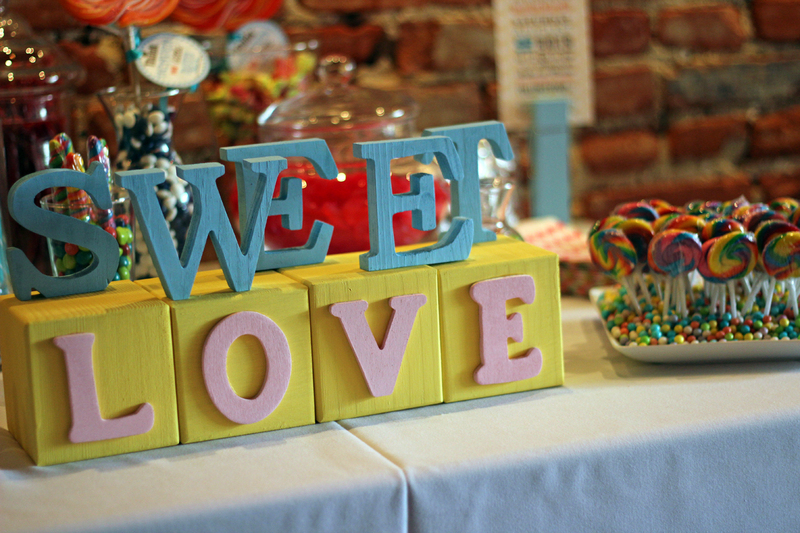 we knew we wanted some sort of sign for the table, but the burlap “sweet love” banners are a pretty common thing at weddings these days and we wanted something unique. we made this sign ourselves out of wood blocks and letters. 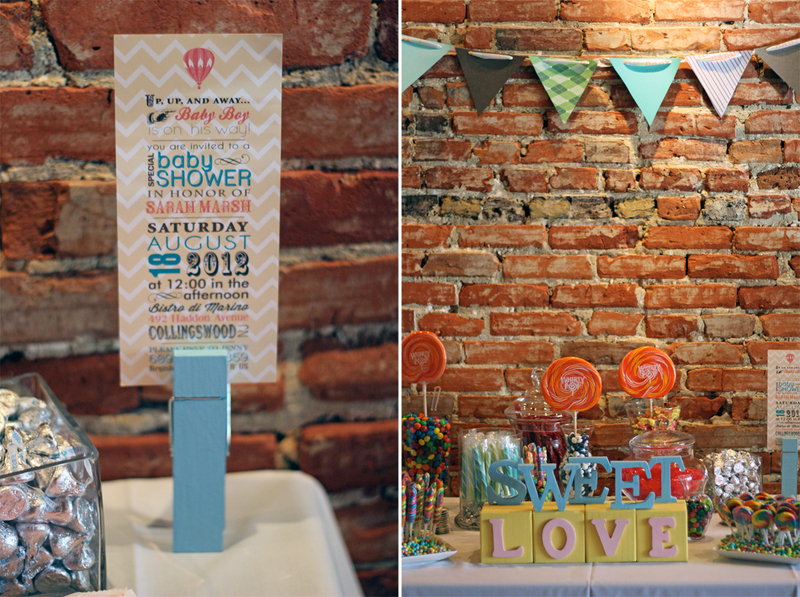 these mismatched flags hung on both walls and above the candy buffet (i take no credit for this DIY adorableness!). 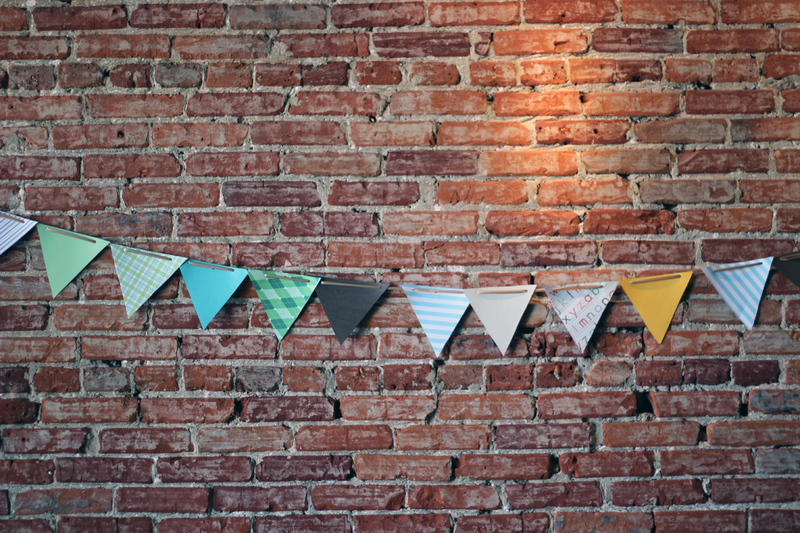 we fell in love with the quaint italian restaurant that hosted the shower. 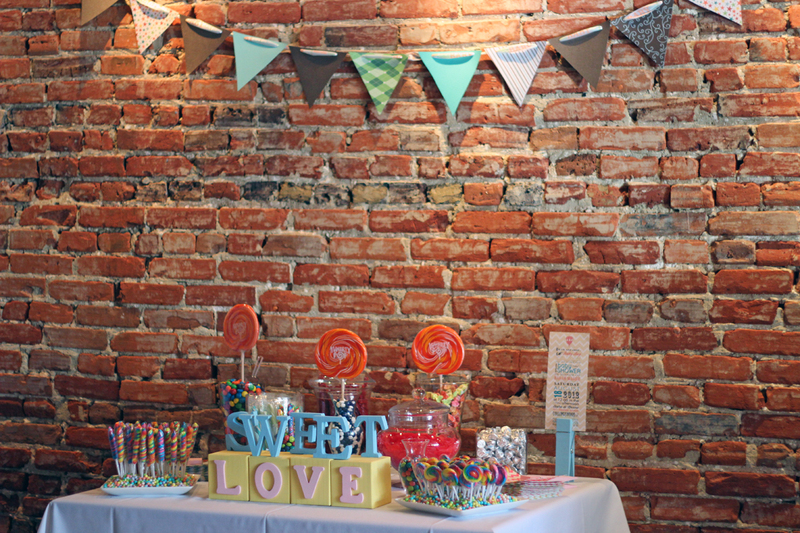 the brick walls added such a cool element to our theme. i bought these chevron straws and matching chevron goodie bags in a variety of colors from a shop i found on Etsy. 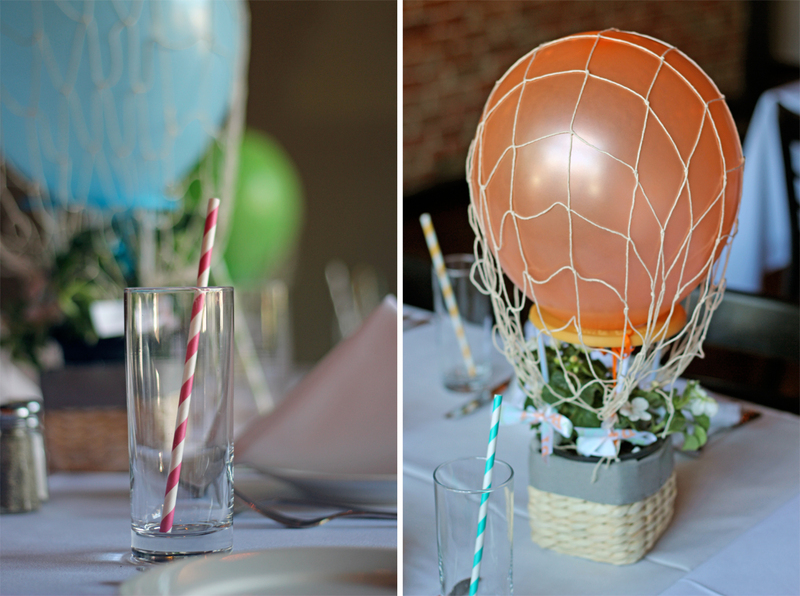 the hot air balloon centerpieces were a DIY project, too, though again, i take no credit! 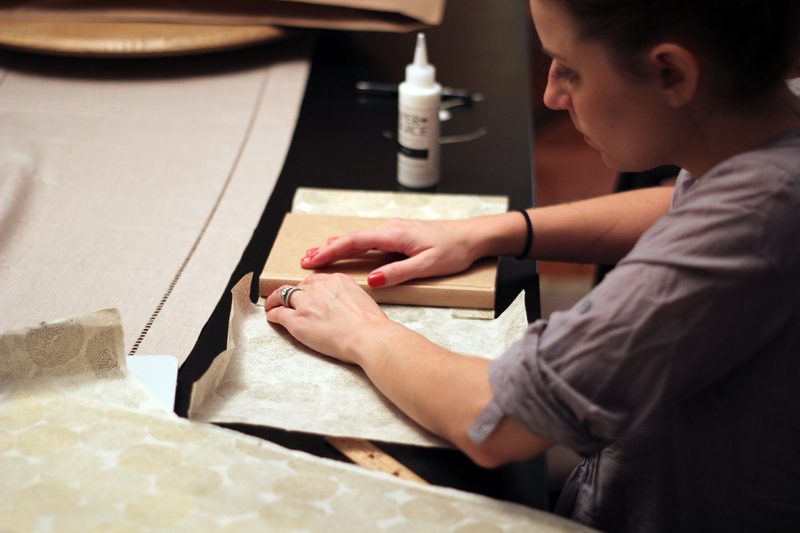 we wanted to display the shower invitation for sarah to see, but the odd shape made framing it nearly impossible. meg and i picked up three of these oversized wooden clothespins and painted them pink and blue. 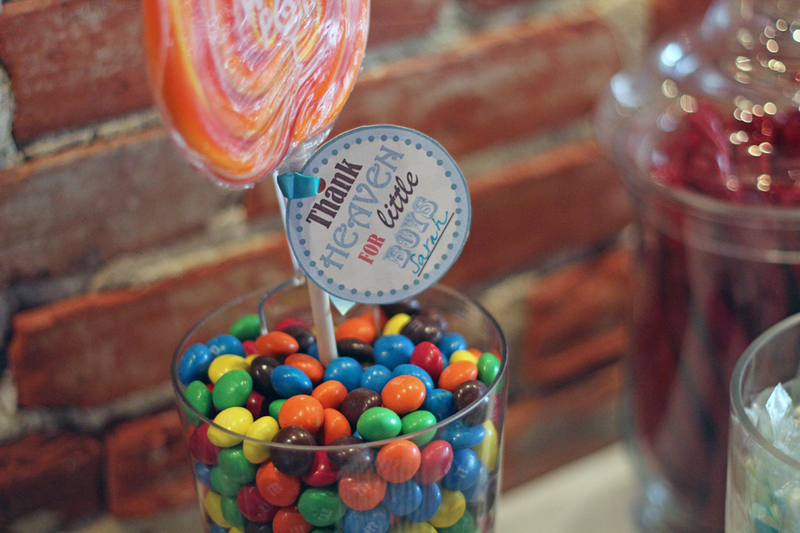 we thought this was a creative way to display the invite on the candy bar without straying from the look and feel. it was a huge hit. the two remaining pink pins bundled together the chevron goodie bags (shown below) on both sides of the table. up, up, and away! the bakery designed the chocolate and peanut butter cake to match our invitation to a tee! 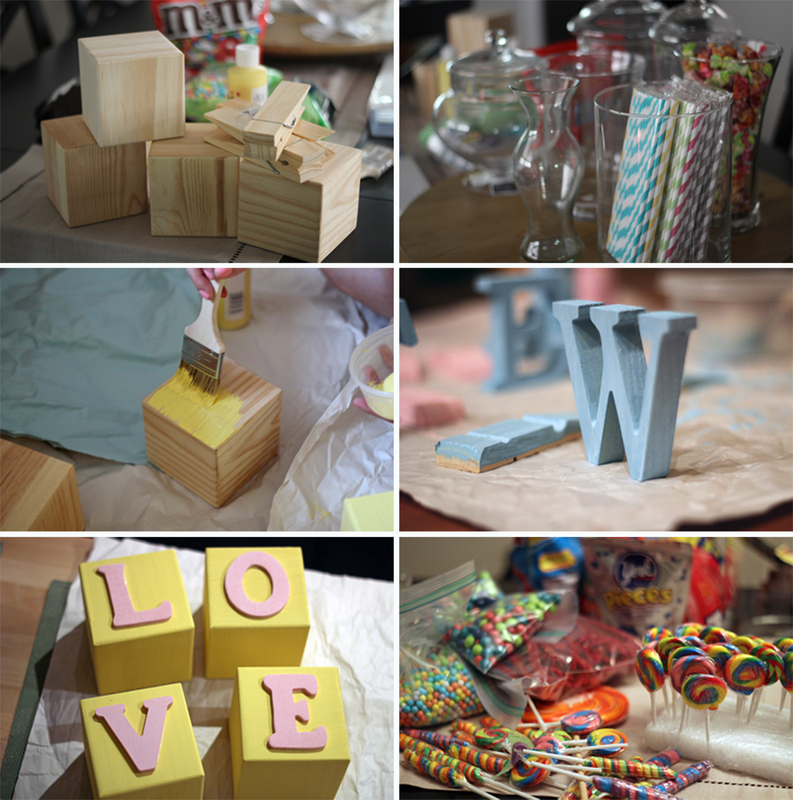 wood glue; acrylic paint; paint brush; 4×4 wooden blocks; wooden letters that spell “love” and “sweet” (the sweet letters should be thick enough to stand on their own while love should be very thin); a thin styrofoam sheet cut into rectangles and covered in saran wrap; wooden clothespins; jars in various sizes and shapes; lots of candy! step 2: collect the candy! twizzlers and swedish fish are sarah’s favorites so those were a must, but we bought these, these, these and these to enhance the theme. we also bought hershey kisses, peanut butter M&Ms, york peppermint minis, fruit taffy, three large swirly pops and wilton pastel pearls. step 3: for the lollipops, cut a thin piece of styrofoam to fit your appetizer plate and cover it with saran wrap (so the candy remains edible). 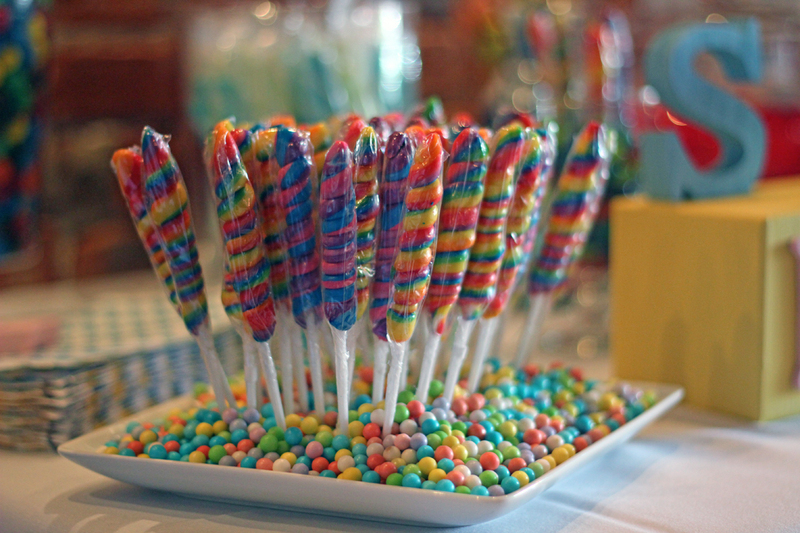 place the sheet on the plate and begin poking holes with your lollipops so they stand upright. cover the entire dish and styrofoam with the pastel pearls to hide the styrofoam. Easy as pie, sweet as candy! 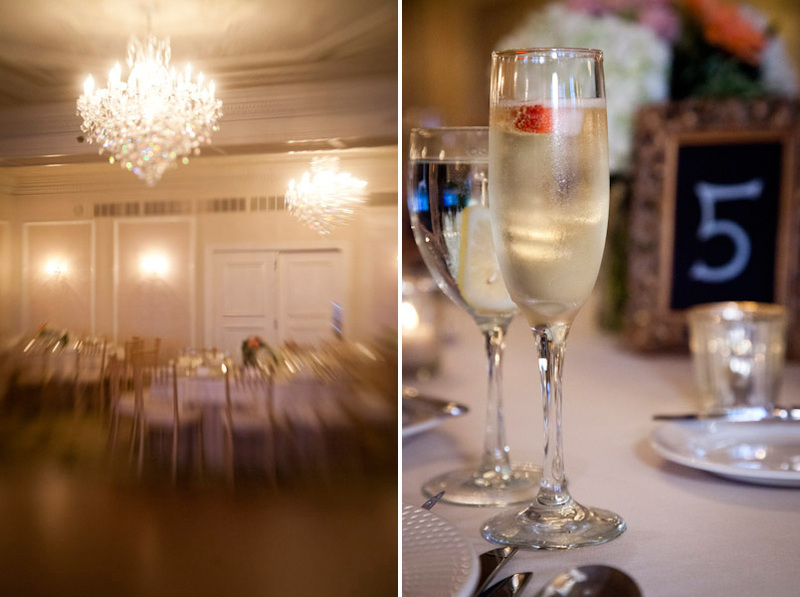 We wanted to put as many personal touches into our wedding as possible as a way of letting our guests know that their presence meant so much to us. Once we got started, the ideas kept flowing. From d.i.y. hand-stamped muslin rescue bags at hotel check-in (here) and chalkboard table numbers, to delicious, homemade takeaway table assignments and a wine box card holder, we put a lot of time, love and thought into all the little details. 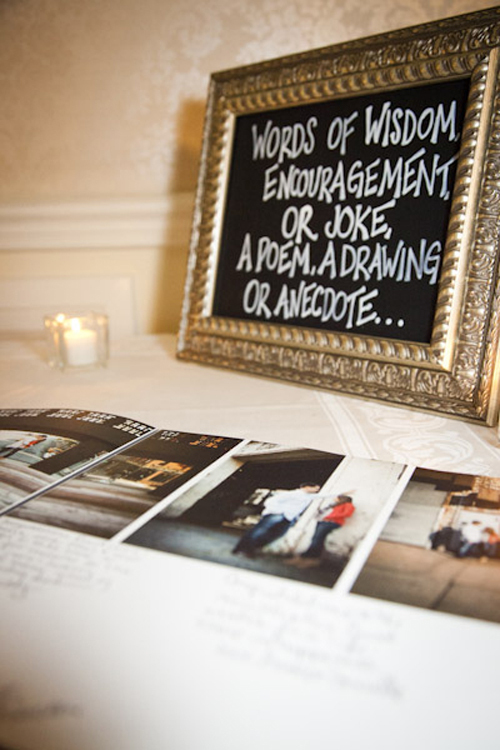 read the message on an 8×10 d.i.y chalkboard frame on the reception welcome table. last summer, chris and i spent many sleepless nights turning our fig tree into nearly 150 cans of fig preserves to be used as our table assignments. then i bribed the girls with cocktails and snacks in exchange for help wrapping and tying every single jar. 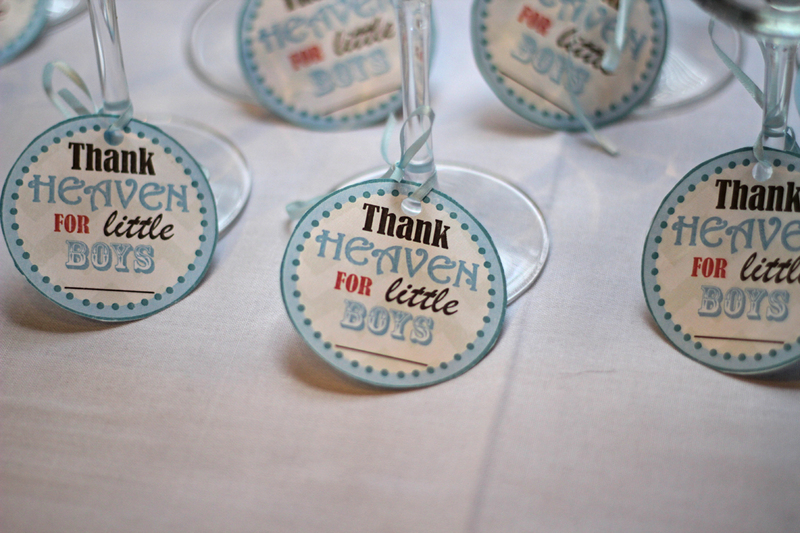 i collected cake stands from everyone i know for our cupcake bar. i found mis-matched mercury glass votive holders for all the tables. 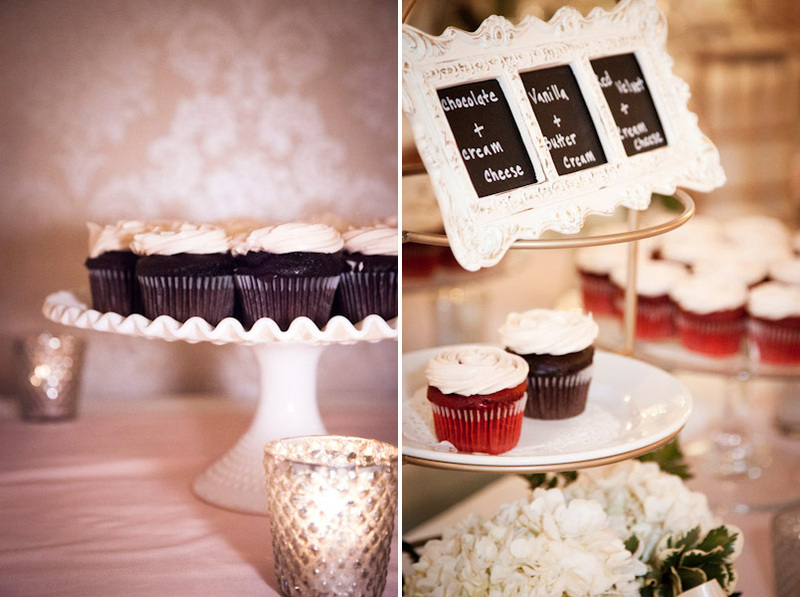 and a d.i.y chalkboard frame told our guests the delicious cupcake flavors: red velvet + cream cheese, yellow + butter cream and chocolate + cream cheese (with light pink, peach and white icing). i scoured every home goods store for mis-matched metal vintage frames for our table numbers, guest book sign and fig table sign, while Chris perfected the art of chalkboard spray painting. 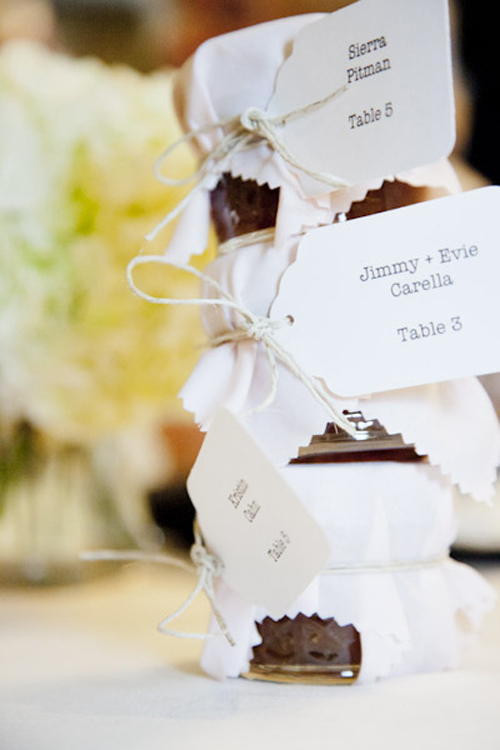 he even wrote all the pretty table numbers with a white paint pen. 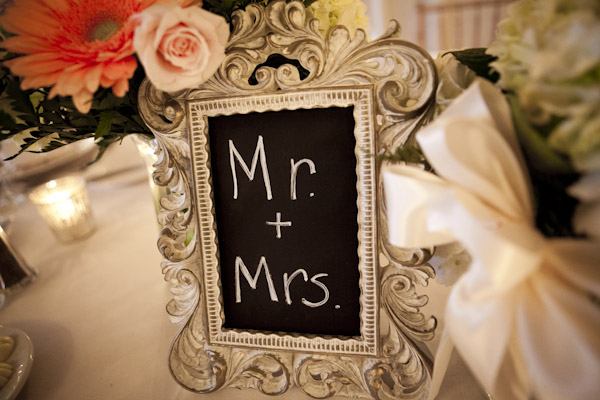 we sat at table number “Mr. and Mrs.,” with the best man, matrons of honor and their spouses. 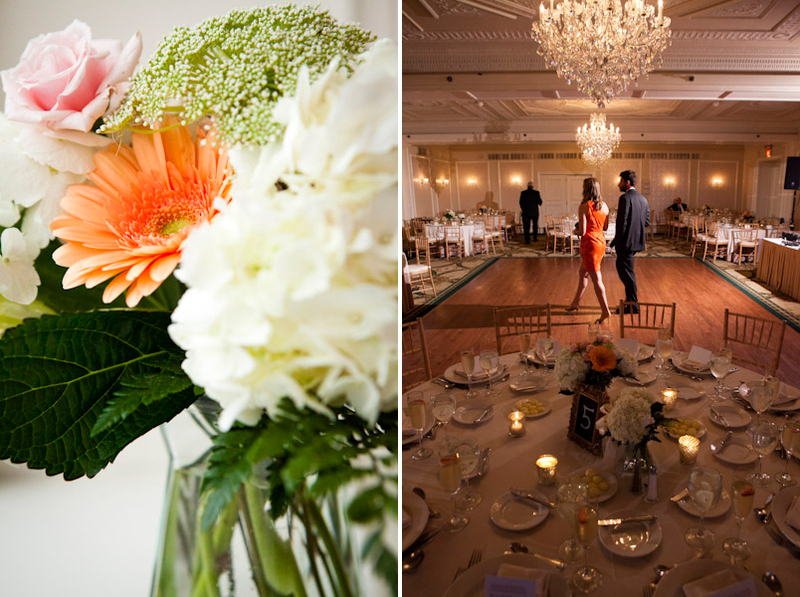 the room at the Molly Pitcher Inn, Red Bank, N.J.
i don’t know much about flowers, so i really relied on our florist for help. 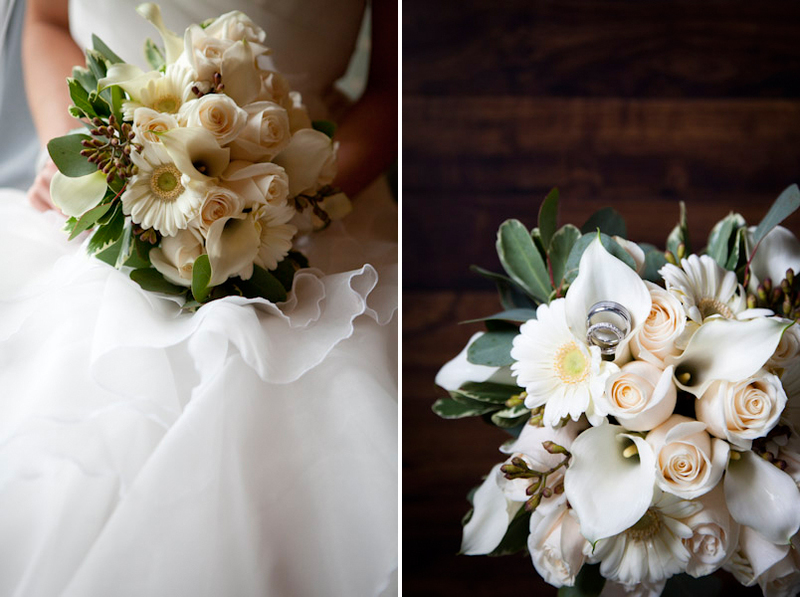 Tina, owner of Sparrow’s Nest Flower Shop in Neptune City, N.J., opened about eight yeas ago, when she provided flowers for my aunt and uncle’s wedding. instantly, we loved her. i told her my dress was simple and romantic, and my colors were pink, peach and charcoal. from there, she made the magic. 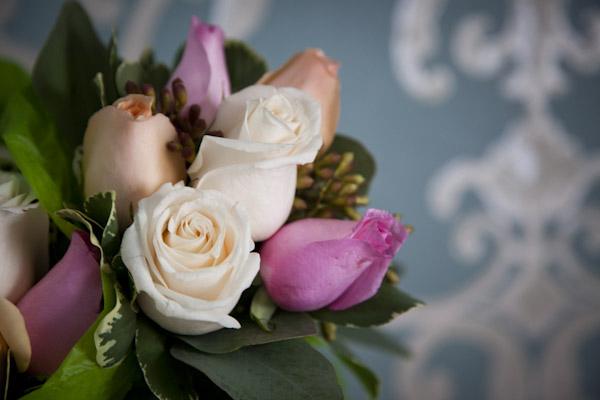 two vases in two sizes on each table with pink roses, peach gerber daisies and white hydrangeas. the guest book was made by our photographers, Blue Koi Sudios, and featured our beautiful engagement photos, taken last fall in NYC’s meatpacking district (blog post here). the chalkboard frame was made by my crafty husband and my girlfriend, Korin, put my handwriting to shame. this was my husband’s pet project. 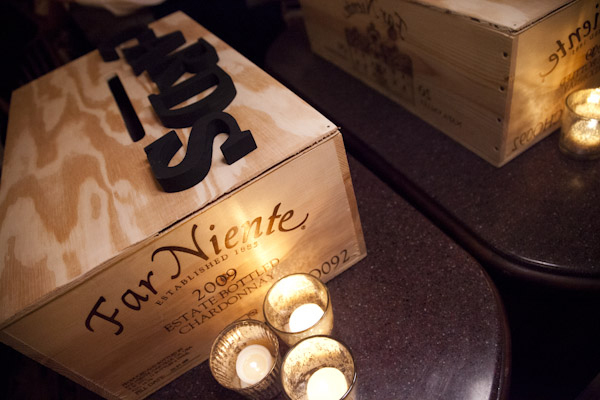 thanks to our local liquor store for the old wine crate, chris made a box for cards from our guests. our brother-in-law, Andrey, used his super fancy manly tools to create the slot. the wooden letters were sprayed with the chalkboard paint and glued on. 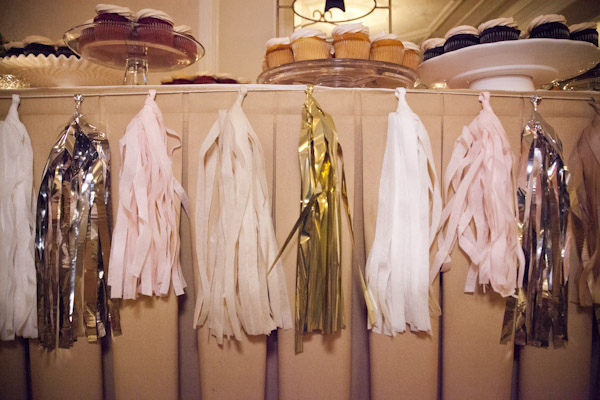 this pretty tassel garland added a bit of sparkle to the cupcake table. Next up: Our incredible DJ, guest serenades and an all-night dance party!